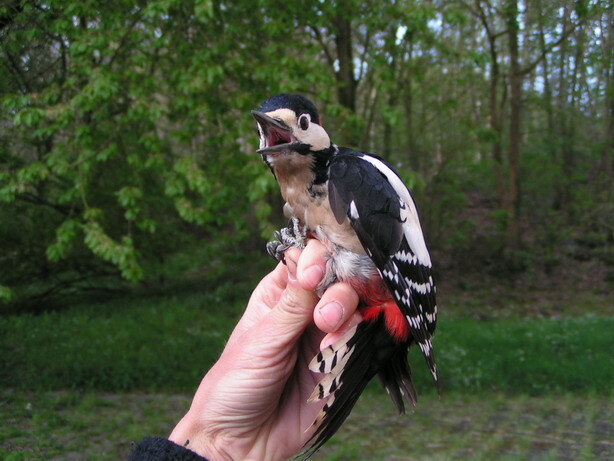 At this time, the ringing group Wylerberg consists of Ruud Foppen en Frank Majoor. The Wylerberg is a forest area with a lot of variation, with steep slopes, with meadows and fruittrees here and there. The nets are erected around the former SOVON office at the Wylerberg. Irrespective of moving in 2010 ( and the Wylerberg appears in the visual axis... ) we are continuing with CES. It fits very nicely in the new function of the building as a centre of field study. 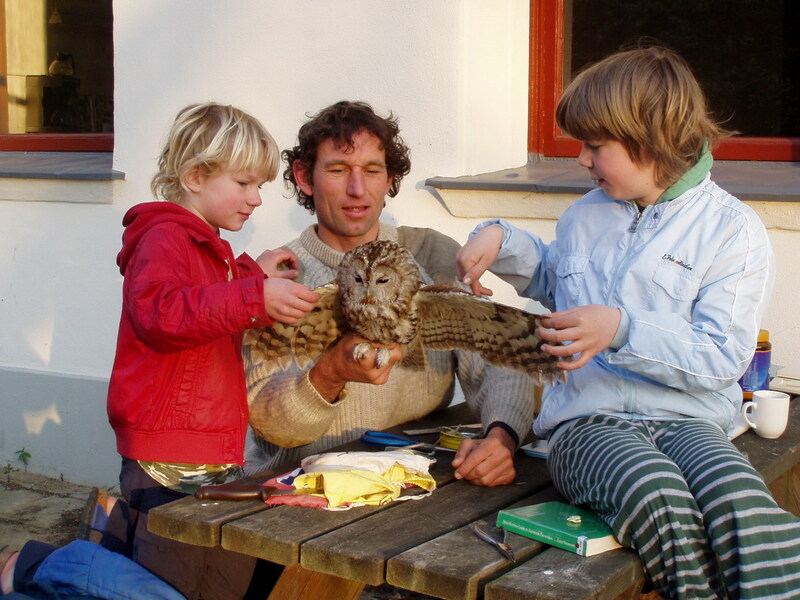 Thus, on Sunday May 29th, 2010 we will give excursions in the context of a youth birding day. 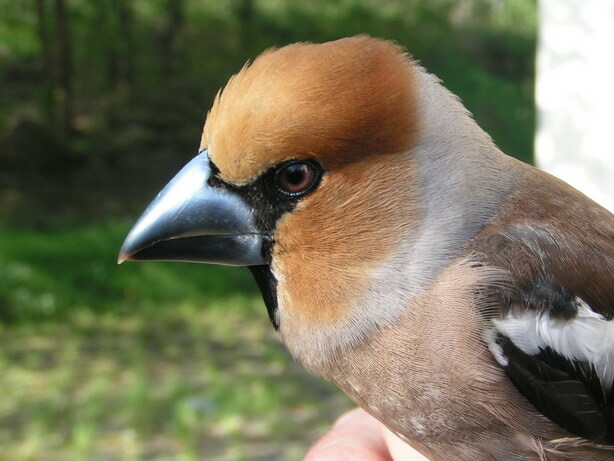 At the Wylerberg we have captured birds for the CES project from 1996 through 2002. However, this project came to an end as a consequence of very large modifications in the field. This however, was seen a great void. Therefore, in 2007 we made a fresh start with CES. 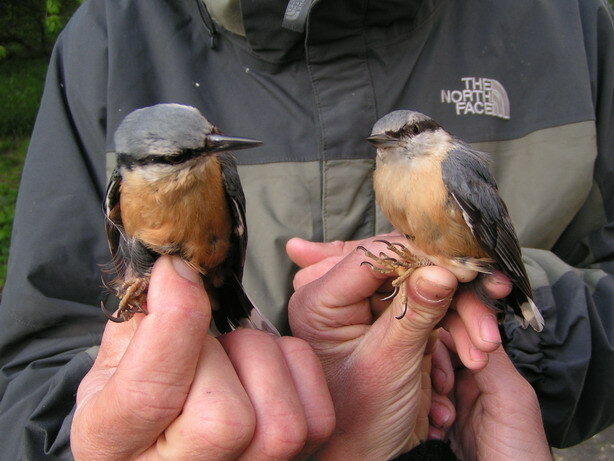 We are now using nets which can be raised, hoping that we will obtain a better representation of forest birds. At four different sites there are 3, 4 or 6 nets above one another. The highest nets are 6x2.5= 15 meters high. The results are positive. 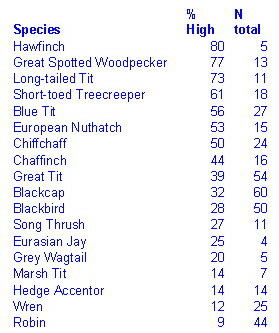 Eventhough relatively few birds are caught in the high nets, the number of birds which have their habitat in the forest such as Great Spotted Woodpecker, European Nuthatch and Hawfinch shows a better representation. 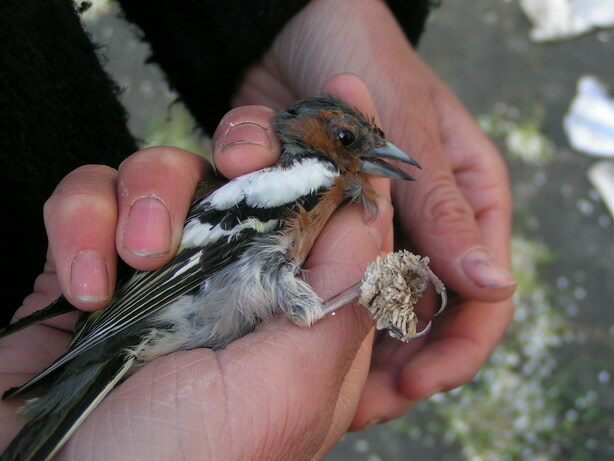 The total number of birds caught with nets which can be raised is comparable to the period 1996-2002, when captures were made with low nets. 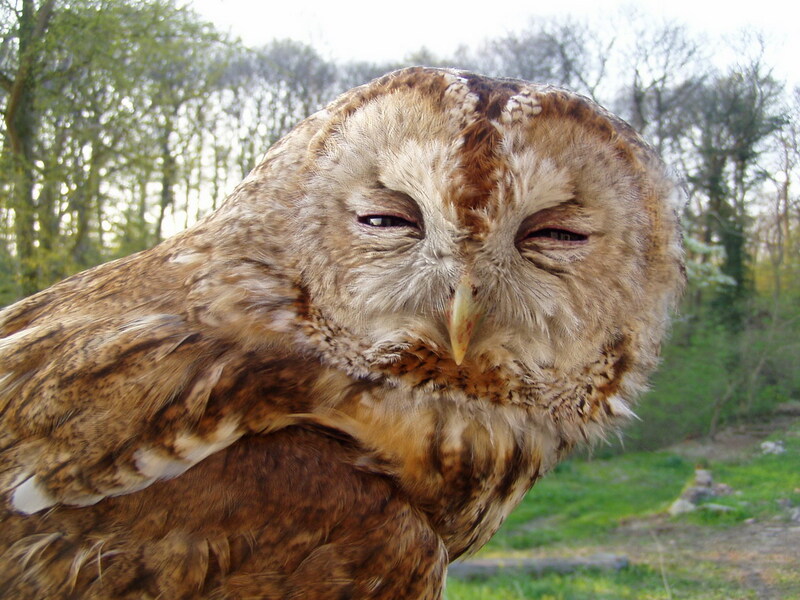 The first CES days for 2010 delivered two new species for this site: Mallard and Tawny Owl. Both were captured high up in the haul nets. Photo's © Loes van den Bremer.